« Gung Hei Fa Choy! Happy New Year! to champion dog breeder. 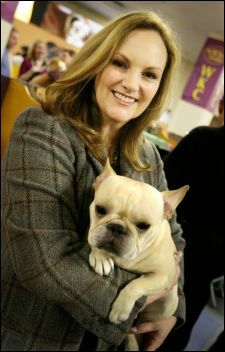 Patty Hearst’s dog wins at Westminster. You gotta love it. Or at least wonder at it. And while we’re on the topic of the fantastic, does anyone know who Ron Paul is why he’s still running? Not even the analysts two hours later ever mention him or his delegates. While I’m a Hillary Gal, Congressman Ron Paul is an interesting candidate. He’s a Constitutionalist. He’s in favor of reducing Federal control down to levels specifically stated in the Constitution and returning power to the states. He’s also “ProLife”. Definitely a wtf? 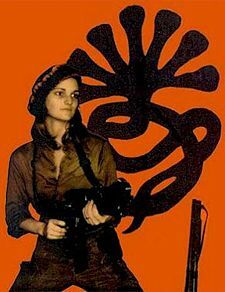 Tania the liberator? I think I may be missing something. Did you see a beagle won Best in Show for the first time? He was so cute! Love the PETA hot dog comment, too. Guess his/her convictions are really strong… unless, of course, a tasty snack is involved. Oh, and I have wondered about Ron Paul, too. Just the other day, I saw him listed on CNN as a Republican. That’s about the most I know about him, other than he likes to recruit college students to hand out his pamphlets at the entrance to the subway station. There were once a group that thought the earth was flat too. So much for Mr. Paul. “Prolife” but city folk need assault weapons and the death penalty’s probably okay by him too, right? Good to hear from you. Too long! Write soon?